For the 31st season, the Roaring Fork Rams’ girls and boys basketball teams will tip off the 2017-18 season with the Brenda Patch Tournament at Roaring Fork High School in Carbondale, taking on the likes of the Steamboat Springs Sailors, Durango Demons, Ponderosa Mustangs and the Rifle Bears, starting at 3 p.m. Friday afternoon with the Rifle girls taking on Durango. The tournament, which started 31 years ago following the passing of 16-year-old Brenda Patch and her mother, Loretta, in a Thanksgiving Day crash, moves into its 31st season, all with the same goal in mind: to honor Brenda’s memory with sportsmanship and competitiveness on the court, excellence in the classroom and strong character traits overall, all while bringing the community together for a great cause. During the two-day tournament that isn’t a true, competitive tournament in terms of brackets and actual tournament winners, all proceeds from the gate and the concession stand will go toward funding a pair of $1,500 scholarships for students who embody those traits. Last season was a milestone moment for the Brenda Patch Tournament as Patch’s nephew, Hayden Bernot, and niece, Kendall Bernot, both shared the court during the two-day tournament in Roaring Fork uniforms with Kendall sporting Brenda’s No. 33 jersey. This year, Kendall is back for her junior season, but Hayden has moved on to college. For at least two more years, a family member of Patch will play for Roaring Fork, which is something special for the family. In fact, Roaring Fork boys head coach Larry Williams, a long-time family friend of the Patches, has had a hand in the tournament for at least 25 years as a coach, including 13 years with the girls team before holding the head coaching job for the boys over the last 10 seasons. With each passing year, the tournament continues to be special for Williams. Along with Williams, Roaring Fork girls head coach and athletic director Jade Bath will get a chance to lead the Rams as a coach for the second straight season in her hometown tournament, having played for the Rams during her time in high school. After going 1-1 in her first Brenda Patch tournament as a coach, Bath said she’s looking forward to another opportunity to represent her school and community in the special tournament. 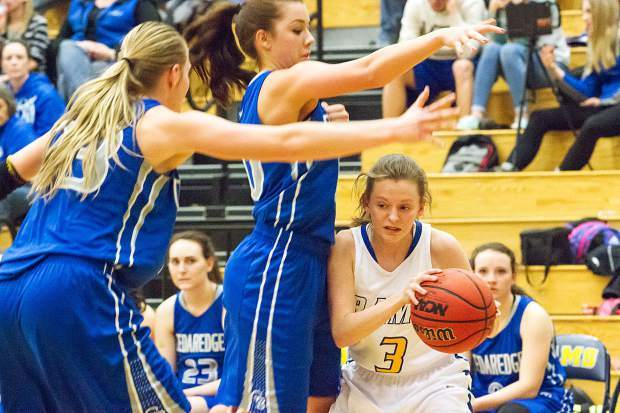 Although the Roaring Fork girls team lost a few key contributors from last season’s team in Bath’s first year, the starting lineup is mostly set, according to Bath. So the tournament will give the second-year head coach a chance to play around with some rotations off the bench in hopes of seeing some younger players step up into larger roles for the rest of the season. For the Roaring Fork boys, Williams has a talented roster returning this winter, and expectations are high for a team that made a run into the second round of the 3A state playoffs. In the tournament, Williams hopes to see defense and rebounding play a large part in the team’s overall success. The Roaring Fork girls will hit the court at 6 p.m. Friday night against Steamboat Springs with the boys following at 7:30 p.m. On Saturday, both the boys and girls will square off with Rifle at 4 p.m. and 5:30 p.m.